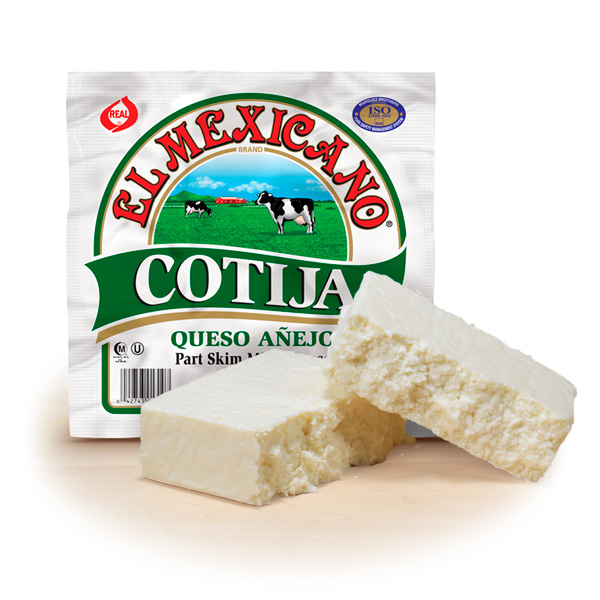 Cotija Cheese is a hard cow's milk cheese with a dry texture, sharp, crumbly, aged very popular in Mexico. Its cheese crumbles are used over refried beans, salads, sopes, gorditas and pambasos. 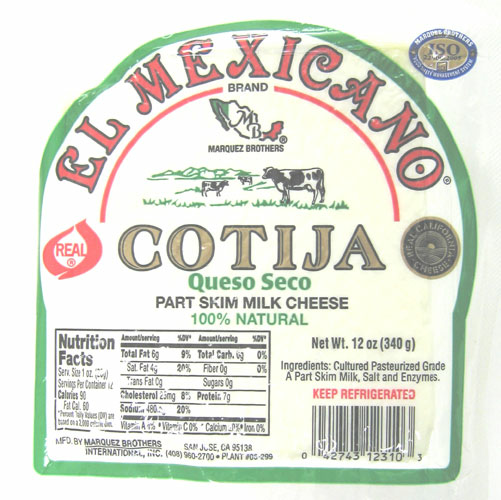 Cotija (pronounced ko-TEE-hah) is like the Mexican parmesan cheese, it is also called Queso A�ejo Mexicano. 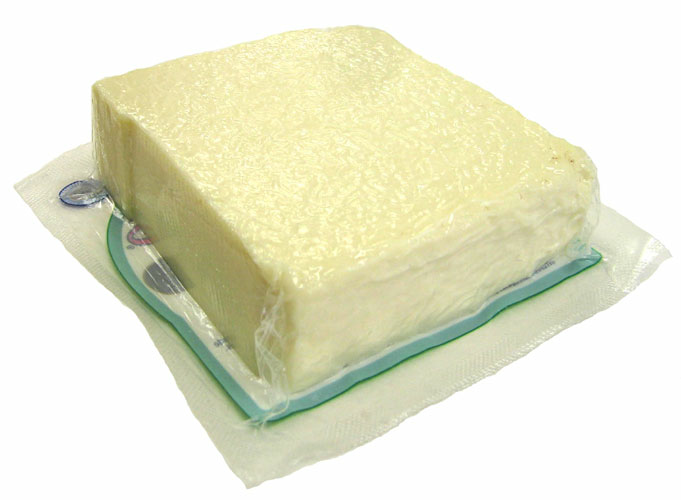 Cotija Cheese is white, salty and granular, also similar in flavor to Feta Cheese, it softens but does not melt when heated. Cotija, Michoacan, is a town in Mexico where the name originated. 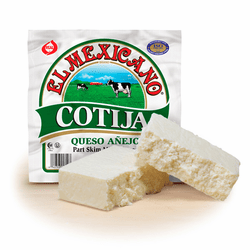 Try El Mexicano Cotija Cheese, The Mexican like Parmesan Cheese. I like to crumble this cheese on quite a few items. Very good flavor. Still have difficulty figuring out stars, cept I think preference increases from left. I do prefer the Cotija, it has more taste than what I bought before (Casero). Also bought Cotija Granulated (more cheese for $) during Cinco de Mayo discount. Prefer Cotija to Casero. Much more flavor! In a subsequent order, bought Cotija Granulated as a better cheese-for-money deal. Not sure I'm rating correctly, but I give Cotija 5 stars!